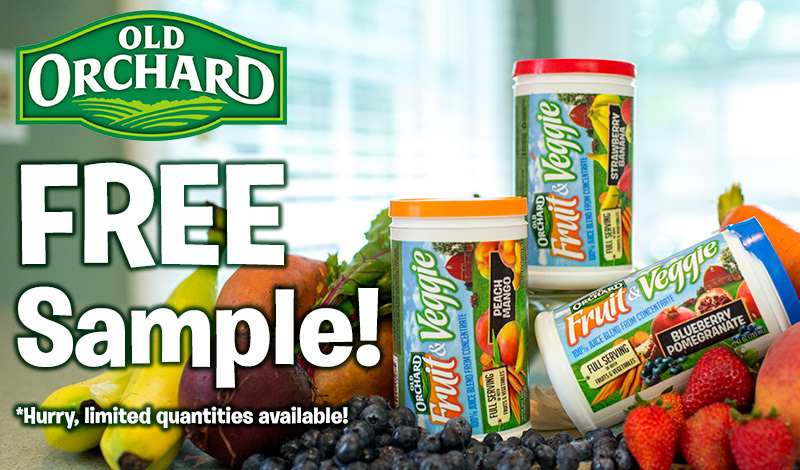 Old Orchard is giving away 10,000 free samples of their newest product line: Old Orchard Fruit & Veggie frozen juice concentrates. Claim your free sample through the Fan Club Rewards Store — but, hurry, offer only available while supplies last. Free sample will come in the form of VIP free product coupon. Click here to check for availability at your local Walmart store. Try One of Three Great Flavors! Each variety of Old Orchard Fruit & Veggie combines the great taste of fruit juice with the added nutrition of vegetables. Each 8-ounce glass of Fruit & Veggie contains a full serving of fruit and a full serving of vegetables!